How is the IDF dealing with the deadly riots on the Gaza border? Why was there a Pesach sacrifice if the Temple hasn’t been rebuilt? Wait, did the Crown Prince of Saudi Arabia just recognize Israel? This and more in this week’s Israel News Recap (Without the Rhetoric). Coordinated mass protests, riots, and attempted terrorist attacks on the Gaza-Israel border over the weekend marking the Palestinian Land Day resulted in at least sixteen Palestinians dead and over a thousand wounded in a series of violent exchanges between rioters and Israeli security forces. The clashes have drawn international attention, particularly because of the death toll, and drawn a great deal of criticism over the Israeli use of force. To scratch the surface of this complicated topic there are a couple of things you need to know. 1. What is Land Day? Land Day is an annual Palestinian commemoration of events in 1976 in which the Israeli government designated land for Israeli settlements leading to deadly clashes. Now, every year Palestinians assemble in public protest. This year the protests, organized by Hamas on the Gaza-Israel border, included massive tent camps that will be housing hundreds for weeks of ongoing protest. Land Day this year happened to coincide with Pesach. 2. What is the Israeli response? Israel had weeks of preparation for these events and reinforced the border with more troops, drones, snipers, and riot control teams. The standing rule is that if anyone approaches the border fence they will first face warning shots and then be targeted with live ammunition. This is under the assumption that those approaching the fence are doing so to engage in terrorism, which has occurred in the past. 3. What are the numbers? Take these numbers with a grain of salt considering the sources. 4. What are people saying about this? Broadly speaking, the international community condemns Israel’s use of force on what is largely portrayed as a peaceful protest. A UN Security Council statement proposed by Kuwait on Israel’s use of force was blocked by the US. The Israeli government says Hamas is using the mass protests as cover to engage in terrorist attacks. Israeli representatives also point out that many protesters are violent and throw rocks, fire bombs, burning tires, and in some cases shoot at Israeli troops. The IDF claims over 30,000 Palestinians protested and that at least ten of those killed were members of Hamas’ military wing, two of whom fired on IDF troops and were met by a tank shell. Hamas says only five were their members. The IDF is also highlighting an incident where they say a seven-year-old girl was sent to breach the fence, but rather than shooting her they returned her to her parents. The protests are continuing into the week. More deaths and injuries are expected and solidarity protests and riots are planned in the West Bank, the Negev, Galilee, and across Israel. 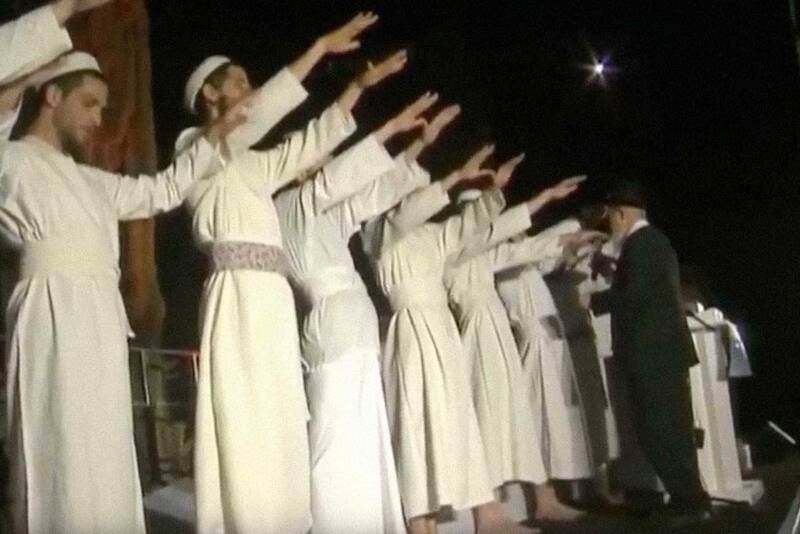 To Temple Mount activists, Pesach in Jerusalem brought not only an opportunity to keep the festival in the capital but also to reenact a sacrifice just meters from the Temple Mount. Jewish activists carrying out a demonstration Passover sacrifice is nothing new. They’ve been doing it for more than ten years, but this year Israeli police gave them unprecedented permission to perform the ceremony at the Davidson Center, just tens of meters from the site of the Temple. 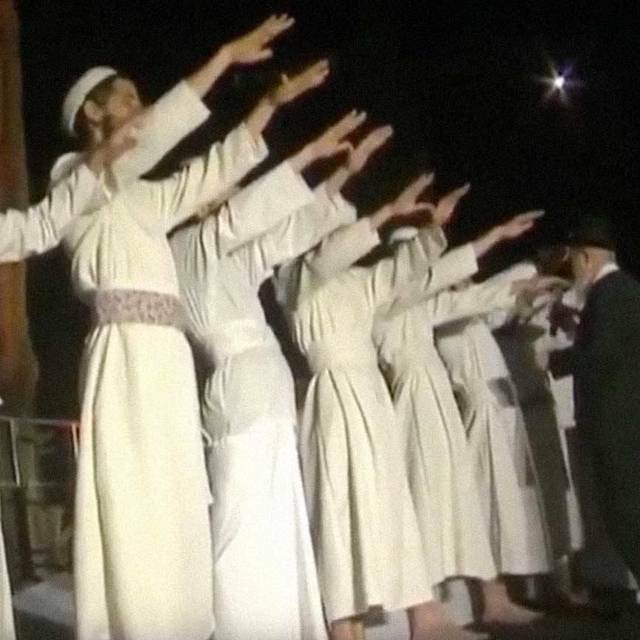 Now, of course the actual Pesach lamb can only be sacrificed in a standing Temple, but reenacting such offerings is a popular practice by activists to prepare for the Third Temple and garner attention. Last Sukkot a water libation ceremony was performed, and previous Passover ceremonies have taken place on the Mount of Olives and other locations in Jerusalem. Despite not being in a standing Temple, this reenactment is as close as possible to the real thing. Priests slaughtered two lambs and burned the flesh. All they were missing was the Temple. The Jerusalem Post reports that hundreds of activists, supporters, and even curious non-religious observers attended the demonstration, but the deeply religious Temple Mount activists are not without their critics who say performing the sacrifice threatens stability and that the state should not sanction religious extremism. Last year, a court blocked them from performing it so close to the Temple Mount, but the permission granted this year may signal a softening of tensions. Tens of thousands of Jews also gathered at the Western Wall on Monday to receive the twice-annual mass-priestly benediction. Christian Pilgrims joined the weekend crowds shuffling through the old city on their way to sites such as the Church of the Holy Sepulcher for Good Friday and Easter Sunday. Israeli Prime Minister Benjamin Netanyahu had a brief scare last week after he was hospitalized with a high fever but was released shortly after. What hot soup can’t put right, however, are the three corruption cases for which he is being investigated. In a surprising twist in the ongoing plan to deport Israel’s African illegal migrants, Netanyahu scrapped the original scheme after coming to a deal with the UN High Commission on Refugees. The original plan was to offer small cash sums to migrants and a free flight to either Uganda or Rwanda or to forcibly deport them if they didn’t take the buyout. The mounting pressure from external and internal players and a temporary block by the Israeli Supreme Court effectively shackled the plan. Additionally, the Jerusalem Post reports that the countries the migrants would have been sent to did not agree to accept the deportees. Human rights groups claimed the plan essentially sent the migrants, most of whom were Eritreans and Sudanese fleeing war and persecution, to their deaths in African countries unable to accept refugees. Netanyahu and supporters of the plan said they were a threat to Israeli culture. On Monday, however, Netanyahu announced that the original deportation plan was scrapped and offered a new, less controversial plan. Here are the details. Netanyahu said he made the decision after talking to residents of south Tel Aviv, where many of the migrants live. Deportation remains a priority, but not to Africa. Now Israel will deport migrants to Western countries with resettlement plans such as Germany, Italy, and Canada. The deal stipulates that of the approximately 37,000 migrants Israel can deport only 16,250 of them. The other 16,000 must be granted temporary residency. For now, this plan seems much more tolerable to opponents of the original plan who have held weekly protests. Execution of the plan is yet to be seen. Mohammed bin Salman, the Crown Prince of Saudi Arabia, rattled the world this week after saying that he recognizes Israel’s right to its land. He went on to say that Israel and Saudi Arabia have many shared interests and that formal relations could be beneficial. He also said that part of recognizing Israel’s right to exist must come alongside recognition of statehood for the Palestinians. His father, King Salman was quick to reiterate that Saudi Arabia supports the Palestinian cause, especially during the bloody Gaza protests, and that Jerusalem is the Palestinian capital. Despite the strings attached, these kinds of statements might point to what new Middle East order may be emerging as Israel, Egypt, and now Saudi Arabia appear to be coming closer together in both rhetoric and under-the-table military deals.